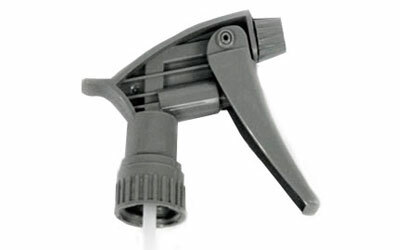 - Adjustable nozzle sprays from fine mist to jet stream. - 1.3 ml per stroke - 30-40% greater than standard trigger sprayers. - Nozzle O-ring and piston cup made of chemical resistant Viton. - 9 3/4 inch stem – sized for 12 oz-32 oz bottles.